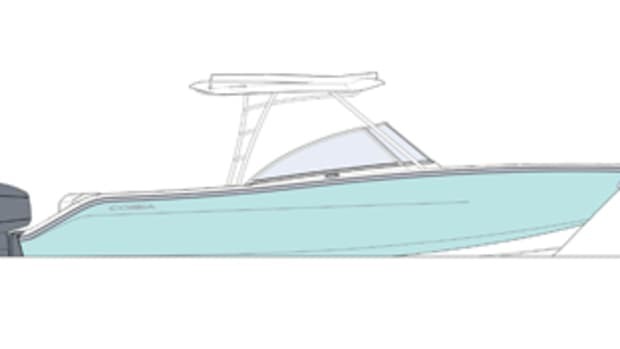 The new boat has a bow lounge, an L-shaped cockpit lounge with an adjoining bench seat, and helm and companion seating abaft a windshield with centerline access forward. The enclosed helm area has a hardtop with a power sunroof and side panes of glass. The port console holds twin 6-foot berths, and the starboard console houses the head compartment. 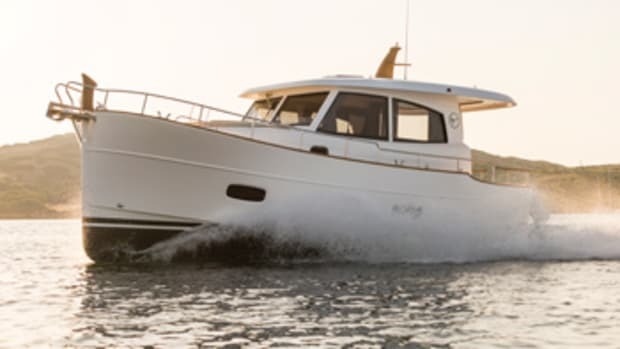 The 33 DC is geared toward family cruising, but Southport is known for its fishing boats. 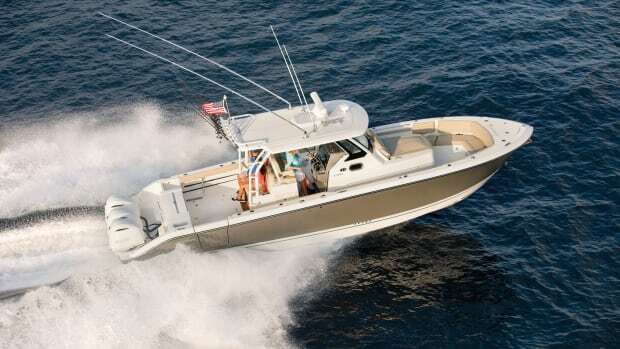 Among the boat’s fishing features are a starboard hull-side door, twin 5-foot insulated fishboxes with insulated drains, a transom live well and flush-mounted rod holders. 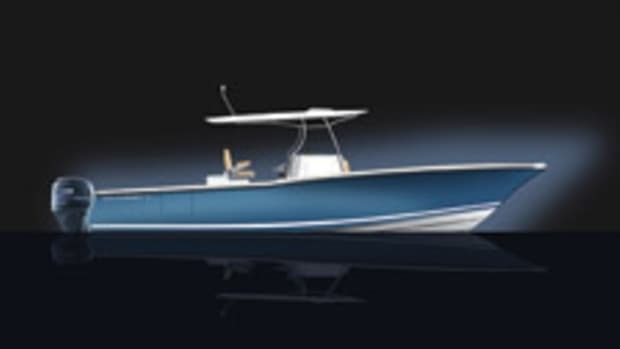 A pair of 18-foot aluminum or carbon fiber outriggers can be added to the hardtop as an option. 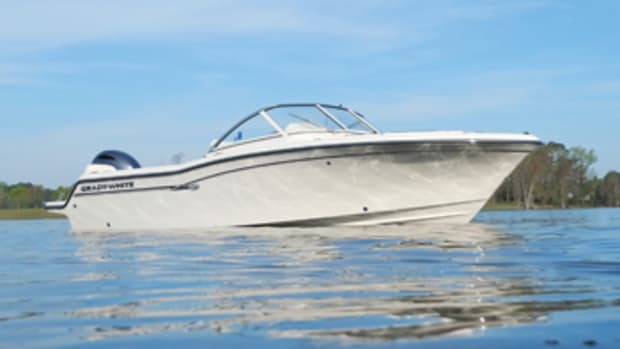 Southport powers the boat with a pair of Yamaha F300 4-strokes. Performance testing wasn’t complete at press time, but the builder expects a top end around 43 knots. 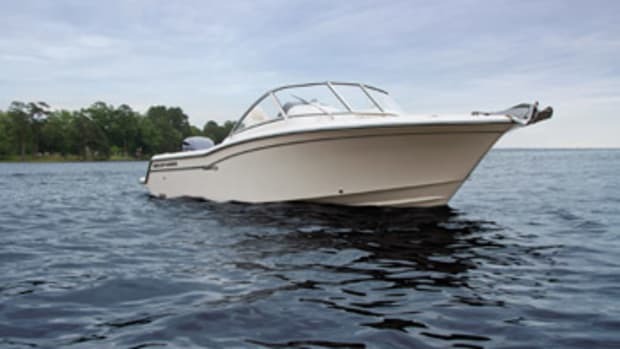 Southport says most owners will want to cruise around 30 knots for best fuel efficiency. 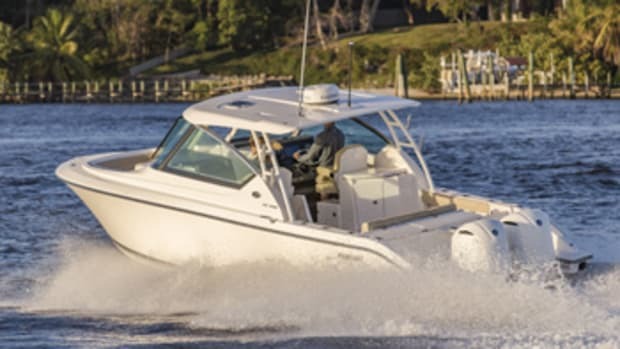 Yamaha Helm Master or SeaStar Optimus 360 joystick systems are optional. Base price is $358,000. 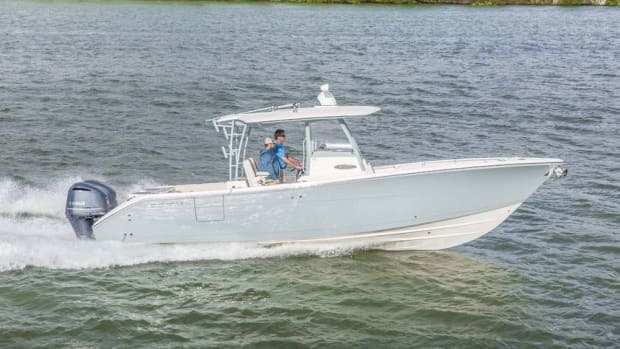 Cobia Boats has been on a tear the past four years, improving and expanding its offshore center console lineup.